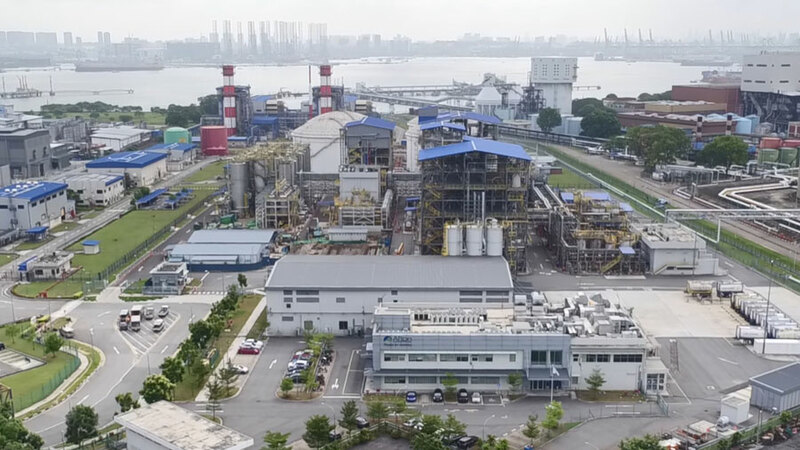 Afton Chemical Corporation’s Phase II expansion of its Jurong Island chemical additive manufacturing facility is complete and ready to commence commercial production. The new development was officially opened on 19 September 2018. The opening is the culmination of a SGD380 million (USD275 million) investment by the U.S.-based company in Singapore. The Phase II outlay of SGD222 million (USD160 million) exceeds Afton Chemical’s initial investment of SGD158 million (USD114 million) for the original project, completed in May 2016. The expansion jumpstarts Afton Chemical’s production of critical components in engine oil additive packages — including advanced ashless dispersants and zinc-based anti-wear components — which assist in reducing carbon emissions. Potential applications include four-stroke motorcycle engine oils, heavy-duty engine oils, passenger car motor oils, and medium speed diesel (railroad) engine oils. Investment in the Phase II expansion project was approved in 2015. Its completion delivers a world-class manufacturing facility with state-of-the-art equipment, occupying an imposing 45,500 square metre land area in the well-established Jurong chemical complex. The manufacturing plant is the first Afton Chemical facility to offer integrated management systems and automated full traceability. Afton Chemical is a wholly owned subsidiary of NewMarket Corporation and has been a leading player in the lubricant and fuel additive market for more than 90 years. Though Singapore has stood as its Asian headquarters since the 1980s, over the last decade the company has intensified its focus on the region. “We continue to invest in Singapore because we see it as the central hub of the region. Singapore is the perfect place to distribute not only to ASEAN but also China,” says Sean Spencer, Afton Chemical Asia’s vice president. By 2024, the global lubricant additive market is expected to reach USD18.85 billion. At the centre of this growth is Asia, with rapid urbanization and economic progress inspiring demand for transportation fuel and specialty chemical products. A compound annual growth rate (CAGR) of 1.1% is forecast for lubricant additive consumption in the Asia-Pacific region over the five years from 2016 to 2021, at which point global lubricant additive consumption is projected to reach 4,579.2 kilotonnes. To accomplish ongoing global growth, it is important to succeed in Asia. We are “committed to becoming the preferred additive solution provider in Asia-Pacific by offering tailored petroleum additive solutions to our customers,” says Harm. China is the world’s most populous country and is witnessing unprecedented growth in personal and commercial vehicles. In 2017, the country surpassed 217 million vehicles, up from 154 million in 2014, a net gain of approximately 20 million per year. Though, Afton Chemical confirms it is not only in total automobile volume that China is leading. Aggressive efforts to drive local GB standards to achieve higher fuel economy and reduction in emissions mean by 2022 China will have the highest standards globally. China is Afton Chemical’s key market in Asia. The company says maintaining pace with the rate of change and developments in the fuels and lubricants additive market is one of its key challenges. China used to be “eight-10 years behind Europe and America in terms of emissions and fuel economy standards and now it is leading the market in terms of standards and quality,” according to Afton Chemical. The company partly attributes this rate of change to a new passenger car product lifecycle of around five years, half of what is typical in mature markets such as Europe and America. The Phase II expansion will provide a 123% increase in workforce at the Jurong operation, and the facility is fully scalable to allow Afton Chemical to expand production capabilities based on market and customer demand. “As we look to the future, we will continue to work towards our long-term view which is dedicated to a safety-first culture, customer-focused solutions, technology-driven product offerings, and world-class supply chain capability,” says Teddy Gottwald, president and CEO of NewMarket Corp., parent company of Afton Chemical, based in Richmond, Va., U.S.A.